One of the main points of having separate state for Telangana is, it is ruled by the people from Andhra area, and not from the Telangana region. 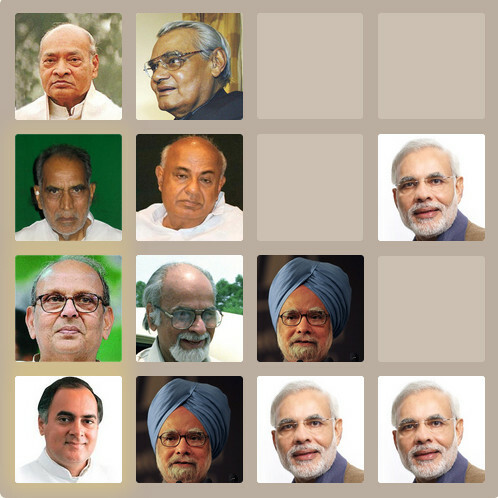 In the Independent India, most of the Prime Ministers and "Super" Prime Ministers are from Uttar Pradesh. But, consistently Uttar Pradesh has been in the bottom of the Human Development Index and in every other measure. Does it say anything to the supporters of the Telangana movement? The rule of having CM from one region and Deputy CM from another region is not at all constitutional. This rule in the gentleman agreement may work only for the national parties like Congress. But, it does not work for the other parties. The main leaders who headed the regional parties are from Seemandhra including NTR, Nadendla Bhaskara rao, Chandrababu, Dr.Jayaprakash Narayan and Chiranjeevi. When they get majority in the assembly, why would they give CM post to someone from Telangana? Does it make any sense? NTR and Chandrababu did not have Deputy CM for their own reasons. When NTR was the CM, initially Nadendla Bhaskara Rao was number two in the party, and later on Chandrababu became number two. Both are from the Seemandhra region. Chiranjeevi got only 18 seats in the last general elections. Out of 18, it got only 2 seats in the Telangana region. For hypothetical purposes, let's assume, it had contested in the elections with the manifesto of United Andhra, it would have got many seats in Seemandhra and 0 seats in Telangana. In that case, how can they give Deputy CM to person from Telangana? Let's suppose, if it gets only one seat in Telangana, do they have to give Deputy CM to that one lone MLA? Another thing that I could never understand was, the definition of a Telanganite. The leaders like NTR, Nadendla Bhaskara Rao, Chandrababu, Dr.Jayprakash Narayan and Chiranjeevi had stayed/have been staying in Telangana area for more than 15 years. Still, they are not considered as Telanganites. The present CM Kiran Kumar Reddy was born and brought up in Hyderabad. Still, he is not considered as Telanganite. But, KCR who hailed from Bobbili is considered as "pure" Telanganite. This rule of Gentlemen agreement is not constitutional and is not valid in any court, and this rule is applicable only to Congress and to no other party.